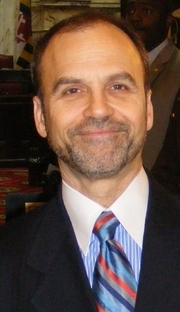 Scott Turow has 4 media appearances. The Northshire Mystery and Thriller Reading Group will meet on Thursday May 15th at 2pm in the bookstore conference room for a discussion of Innocent by Scott Turow. Turow discusses his latest Kindle County bestseller, the story of Identical twin brothers – one a candidate for mayor and the other newly released from prison after serving 25 years for the murder of his girlfriend. dueling neighbors, and the long-ago murder that drove them apart. Men of Mystery Guests of Honor: Alexander McCall Smith and Scott Turow. Mysterious Galaxy is pleased to be the bookseller once again for Men of Mystery convention at the Irvine Marriott. This annual event offers attendees the chance to visit with and get books signed by more than 50 male mystery writers -- everything from legal thrillers to surfer P.I.’s. Featured speakers at the 2013 Celebration are Alexander McCall Smith (No. 1 Ladies Detective Agency series) and Scott Turow (Innocent). Meet authors new and old. Attendees get to have lunch with men from all over North America, and all over the genre. For more information and all of the attending authors, visit the convention's website. Turow’s new novel is the story of Identical twins Paul and Cass Giannis and the complex relationships between their family and their former neighbors, the Kronons. It focuses principally on events in 2008, when Paul is a candidate for Mayor of Kindle County, and Cass is released from the penitentiary, 25 years after pleading guilty to the murder of his girlfriend, Athena Kronon. Scott Turow's book The Mystery Writers of America Cookbook was available from LibraryThing Early Reviewers. Scott Turow's book Innocent was available from LibraryThing Early Reviewers. Scott Turow is currently considered a "single author." If one or more works are by a distinct, homonymous authors, go ahead and split the author. Scott Turow is composed of 8 names. You can examine and separate out names.